You can buy these parts at any electronics store. Cleveland Institute of Electronics created two courses that'll prepare students for a careers in two growing fields: Automation/Robotics and Computer Security. 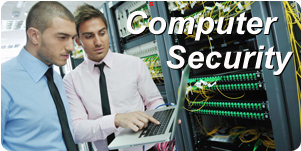 Students graduate with strong problem-solving and analytical skills needed to design new hardware and software systems. 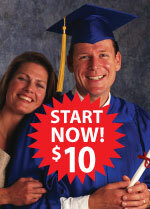 CIE Bookstore has a variety of affordable and convenient distance learning programs that are ideal for the hobbyist. They're great for keeping your resume current with the latest technology, updating your troubleshooting skills or simply learning a new area of interest. 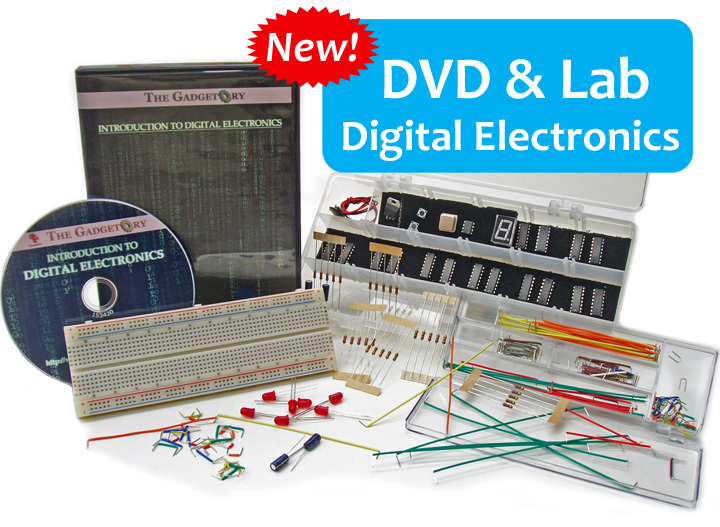 Study at home and learn about Digital Electronics with 12 lessons on DVD and lab exercises. Learn more! Study at home and learn to fix iDevices like iPhones, iPads and iPods. Learn more! 39 lessons with hands on labs. 20 lessons with hands on training lab making circuits. 19 lessons on CD, GROL prep & more! 4 lessons with hands on lab. Learn PC board layout. Learn HVAC repair online with free HVAC lesson. 4 lessons with hands on lab. 2 multimeters and soldering iron are included. Don't know how to solder? Learn to solder with our distance learning soldering micro course with lab. The complete course is $95. Click here to enroll in the soldering micro course. Or you can enroll in our Introductory Electronics Course - Course 1B. After you complete all 93 lessons & labs you'll have a firm foundation in electronics technology and you'll get a diploma from CIE to prove it.